Russia’s Internal Ministry has come up with an idea on how tackle corruption: they suggest baiting officials to take bribes and firing those who cannot resist the temptation. The method, referred to as the “corruption-resistance test”, was proposed by the Ministry's Internal Security Directorate, the department’s head, Yury Draguntsov, said in an interview with RIA Novosti. According to the official, such tests for honesty are common practice in many countries abroad. The measure, he believes, would help to prevent bribe-taking. And here is how the method is supposed to work. After receiving an official sanction, inspectors would apply to an unwitting public servant with an offer to abuse his or her powers. In return, the bureaucrat would be offered money, jewelry, any other property or services. Officials who do not pass the test and prove to be crooked would be dismissed and banned from being able to get a seat in state services, police Lt.-Gen. Draguntsov explained. However, not all civil servants would be tested: verification that an official could be involved in corruption would be an integral condition for the inspection. For instance, a written request sent to police could become grounds for such a test. “It cannot be an anonymous statement,” Draguntsov clarified, adding that such letters are often used simply to discredit a person. Notably, the Internal Ministry says that officials who get on the hook and take the bait should not be sent to jail, but simply fired and not allowed to return to the public service ever again. If the idea receives state support, amendments to the Criminal Code would be needed, Draguntsov said. The Internal Ministry’s proposal is just one among a whole bunch of measures being mulled over. Russian Liberal Democrat party’s proposal has so far been the most radical one. The faction suggested a Medieval-type punishment for corrupt bureaucrats: branding bribe-takers. “We are in a desperate situation. Nothing works. We have passed all laws, published all income declarations. All the data is available. Corruption is not decreasing, but growing instead,” the party’s leader, Vladimir Zhirinovsky told journalists. So, he went on, the LDPR’s proposal “is kind of a revolution in law” which will solve the problem since millions would be afraid of getting stamped with the “K” letter on their left palm. Widespread corruption has been one of the biggest challenges for Russia. 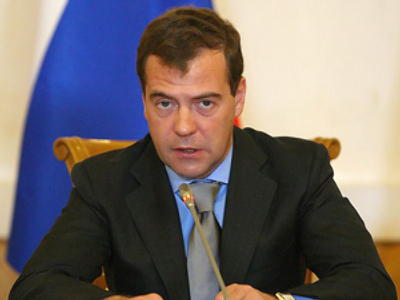 Since the very beginning of his presidential term, Dmitry Medvedev has been pushing for measures to finally solve the problem, which in some regions has become“a major threat to national security”. However, so far the leadership’s efforts have yielded very few positive results and fighting this evil remains one of the priorities for national policy and part of the modernization of the country.